Our congregation is involved, committed, diverse, open. A people who try to be accepting, caring, hospitable and inclusive. Family- and community-oriented. A people who are concerned about those beyond their communities, around the world. Active in mission, responsive. A people who love music, church suppers and fellowship. Initiators, with a history of creating ministries related to education, employment, health and other issues. A people who like to tell the story of God’s redeeming grace. When you join a United Methodist congregation, you become a member of the total United Methodist connection. Members promise God and the congregation to uphold the church with their prayers, presence, gifts and service. United Methodism was formed when the Methodist Church and the Evangelical United Brethren Church merged in 1968. 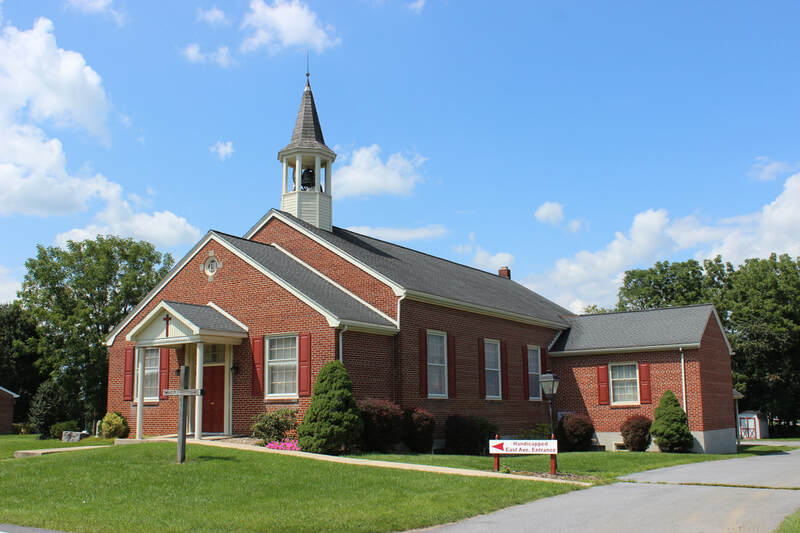 United Methodists trace their spiritual heritage back to 18th-century leaders including John and Charles Wesley, Jacob Albright, Philip Otterbein, Martin Boehm and Francis Asbury. All persons are welcome in the United Methodist Church. We are firmly committed to inclusiveness. We celebrate a diversity of people, ideas and cultures and we are enriched by our broad history. United Methodists trust free inquiry in matters of Christian doctrine. Our faith is guided by Scripture, tradition, experience and reason. Of paramount importance is Scripture. For United Methodists, the Bible is the record of God’s people living out God’s promise. United Methodists are mission-oriented and socially conscious. This is important in our faith. We are aware of world events and strive to help those in need. United Methodists are one in faith and tradition with Methodist Christians around the world. Through the World Methodist Council, Methodists from 68 member churches cooperate in support of ecumenical, educational, evangelical and other ministries. For generations, United Methodists have cooperated with other churches to spread the gospel, care for those in need, alleviate injustice and foster peace. In national and interfaith groups, United Methodists reach beyond our own churches and our own communities to express concern and to share God’s love with people of many faiths. For more than 200 years, The United Methodist Church and its predecessor bodies have expressed concern for the worker, the sick, the poor, the orphaned, the aging, the impaired, the oppressed and the imprisoned. Our church participates in the struggles of women, people with physical and mental impairments and racial- and ethnic-minority persons, helping them attain equality in the church, the economy and society. United Methodists positively influence society through responsible social action. United Methodism took form as an organized church in this country during the revolutionary people of our history. Its structures parallel those of the United State government. Church leadership is shared by executive, legislative and judicial branches. Representative bodies carry out church functions at local, regional and church-wide levels. The highest legislative body, the only organization that can speak for the church, is the General Conference. An assembly of up to 1000 delegates, it is composed of equal numbers of laity and clergy and meets once every four years. Delegates are chosen by regional unites (annual conferences) throughout the United States and in 15 other nations. Non-voting representatives come from affiliated churches in 25 other countries. Annual conferences respond to the needs in their regions by developing programs and ministries that carry out the work of Christ and support the policies set by General Conference. The United Methodist Church continues its strong evangelical heritage. Within each congregation is a vital center of biblical study and evangelism, a blending of personal piety and discipleship.